WASHINGTON – In case you missed it, Congressional Leadership Fund (@CLFSuperPAC), the super PAC endorsed by House Republican leadership, released 14 ad campaigns in 14 congressional districts across the country this past week. See highlights of this week’s ad coverage below. The Congressional Leadership Fund, an independent political action committee aligned with House Speaker Paul Ryan, is spending $1 million on the 30-second ad that shows her faux pas and accuses her of backing House Minority Leader Nancy Pelosi’s agenda. Watch the ad, “Party First,” here. CLF is going up with a new ad in IL-13, targeting Democrat Betsy Dirksen Londrigan over health care and tying her to state Democratic leader Mike Madigan. Watch the ad, “Really Know,” here. Watch the ad, “Backward,” here. The new ad contrasts Curbelo’s record on economic issues with that of his Democrat opponent Debbie Mucarsel-Powell. The ad–in both English and Spanish versions–is hitting the Miami airwaves and will be run online as well. Watch the ad, “Extreme,” here. Watch the ad, “Solid,” here. The ad from the Congressional Leadership Fund touts the tax law of 2017 and slams Brindisi on the issue, while tying Tenney to President Donald Trump, who remains popular in the district with a majority of voters. Watch the ad, “Ready,” here. Watch the ad, “Crushing,” here. Watch the ad, “Choice,” here. Watch the ad, “Nightmare,” here. Watch the ad, “Economy,” here. Watch the ad, “Hurt Kentucky,” here. A third ad in TX-23 hitting Democrat Gina Ortiz Jones strikes a similar theme, invoking taxes and Pelosi. 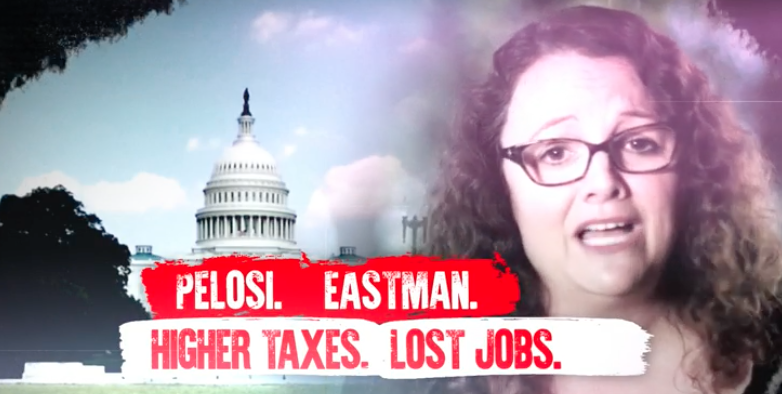 “A vote for Liberal Gina Jones is a vote to make Nancy Pelosi speaker — and raise your own taxes,” the ad says. Watch the ad, “Raise,” here. The ad criticizes Balter’s support of Medicare-for-all and her public comments that the single-payer health insurance program would be paid for with a tax increase. Watch the ad, “Talk About,” here. Watch the ad, “Maine’s Economy,” here.